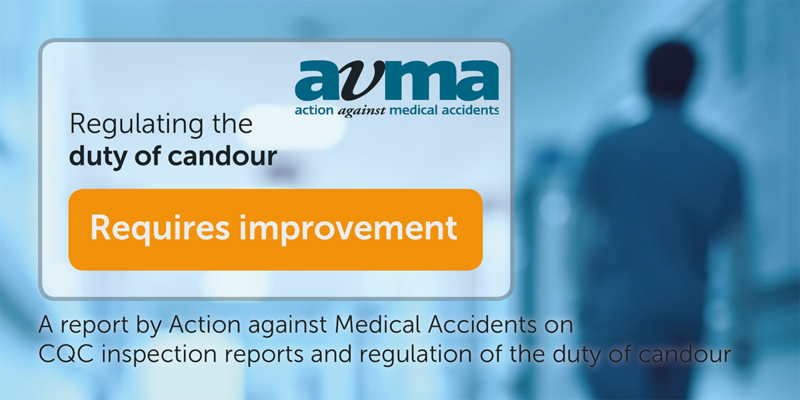 When AvMA successfully campaigned for a statutory duty of candour in 2014, it marked an historic advance in patients’ rights and patient safety. So it is concerning to find that regulation of the duty by the Care Quality Commission (CQC) is not as thorough as we would hope. We undertook our own independent research and found that the CQC “requires improvement” in how it regulates the statutory duty of candour. We found it doesn’t record how many individual allegations it receives and has no system ensuring allegations are dealt with. Inspections are inconsistent and the CQC does not publicise any enforcement action it takes.